Maximise opportunities for students to take responsibility for their own learning. As in most primary schools a proportion of the timetable includes cross curricular themes that link one or more subjects. For this reason, the timetable is not rigidly compartmentalised since projects may cover several areas. The school curriculum continually evolves as it is updated, refined or improved on by amendments to the English National Curriculum. Curriculum summaries for each year group are issued at the introductory meetings at the beginning of the year and are available on request. The Nursery and Reception classes form part of what is known as “The Foundation Stage” during which children learn through play and begin to develop skills they will need for future learning. They are making sense of the world and dealing with the challenges and experiences that life brings them. As in the Primary Department, the curriculum is updated, refined or improved on by amendments to the English National Curriculum. In Years 7 to 9, all students follow a common programme in a range of subjects which are indicated on the Curriculum table. In order to facilitate a greater focus on individual strengths and weaknesses, all subjects are taught to groups comprising a maximum of 15 students. In Year 10 and 11, students follow a range of 6 compulsory subjects together with a further 2 subjects chosen from a range of options. In some cases, students are offered the possibility of taking additional subjects. The curriculum is designed to enable students to consider a variety of careers or further education placements. Subjects chosen at this stage are studied over a two year period leading to GCSE and IGCSE examinations which are taken with CIE (Cambridge International Examinations) and Pearson Edexcel. At GCSE level all subject classes, except for physical education, are divided into two groups to allow early identification of individual strengths and weaknesses and to provide opportunities for establishing good personal relationships. In Years 12 and 13, students who have successfully completed GCSE courses can move on to intensive study at GCE ‘AS’ and ‘A’ level , as preparation for entry to university in Britain, Spain or other parts of the world. On average students take four to five subjects at this level. For timetabling purposes, these subjects are divided into groups, from which of each, students select one subject. 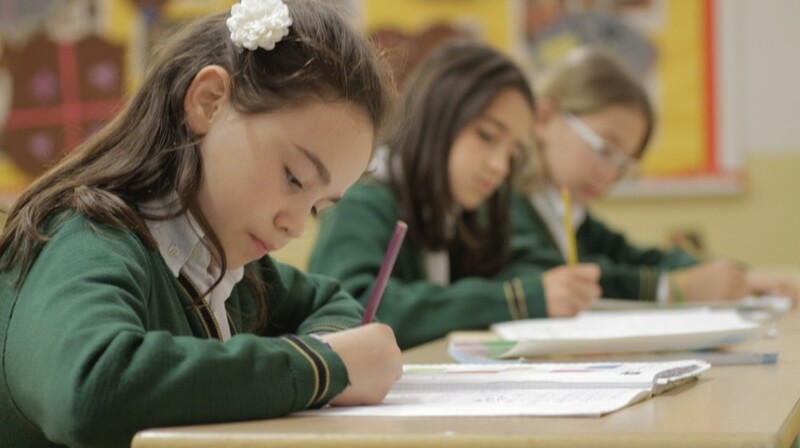 Alongside the British curriculum, students with Spanish nationality or a sufficient level of attainment in the Spanish language, may study selected components of the official Spanish curriculum enabling them to obtain qualifications in both education systems. The subjects available and the qualifications on offer at this level prepare students for higher education in both the UK and Spain. They may also obtain places at universities world wide provided they have sufficient command of the language of the country in question. Thanks to our excellent record of external examination results, the majority of our students proceed to higher education. Destinations are mainly in the UK and Spain, and include such prestigious universities as Cambridge, Oxford and the London School of Economics. 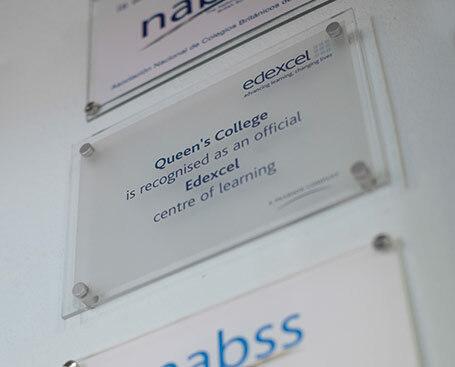 Below you will find the examination board awards obtained by our students over the last eight years. The highest subject mark in Spain in GCSE German. Highest subject mark in Spain in GCSE Art & Design. Highest subject mark in Spain in GCSE Geography. Three joint highest subject mark in Spain in GCSE German. Highest subject mark in Spain in GCSE A Level in Maths. Highest subject mark in the world in GCE A Level German. Highest subject mark in the world in GCE A Level Chemistry. Highest subject mark in the world in GCE AS level in ICT. Edexcel Award to the best subject mark in GCE A Level in Spain in Chemistry, Mathematics, Physics, Spanish and and in AS Level Biology and Pure Mathematics. Primary children are encouraged to read with or to their parents, depending on the level reached. Support at home undoubtedly contributes to a child’s success in this area. Children will also, at various stages, be asked to learn spellings or multiplication tables. Older children may be asked to complete unfinished work at home or undertake research or revision work for a subsequent lesson. In Year 6, pupils are tested on the core subjects and are given homework time to revise for these tests. Homework gives secondary pupils practice in managing their own learning, fulfilling targets and meeting deadlines, thereby acquiring a sense of responsibility. Not all homework is in the form of written exercises. Learning, reading, researching and revising are also valuable activities. Assessment is carried out, not only to inform students and their teachers of how much and how well they have learned, but also to plan for future learning. In the Primary Department, class teachers and subject specialists within the department carry out informed classroom observations and effective questioning to monitor what children can do and what they need to do next. Throughout the year work is carefully monitored against the National Curriculum objectives to determine where to pitch the teaching of specific aspects of the subject and to assess the progress children are making during lessons. Assessment in the Early Years takes the form of an informal set of observations at various stages in the first two years; this is known as “Baseline Assessment”. In Key Stages 1 and 2 assessments take place regularly throughout each year. More formal tests take place in May to assess children’s reading ages (Y1-6) and levels in English and Mathematics (Y3-6). In Year 6 children are assessed in November and May in the core subjects of Literacy and Numeracy as well as in Science and topic work. These assessments are based on the National Curriculum SATs (Standard Assessment Tests). In the Secondary Department, students’ work is assessed on a daily basis, through teacher observations and effective questioning in the classroom. Work carried out both in school and at home is corrected, marks are awarded and feedback is given. Frequent tests are set, usually at the end of a unit of work. All marks are recorded on an ongoing basis so that students may check on their progress and improvement. Throughout the year students are encouraged by both subject teachers and tutors to set themselves targets and then work hard to achieve these. At the end of each academic year, students take an examination in each subject. Entry to university or the workplace depends on various factors, the most important of which is examination results. At school we are proud of our results’ record which have been improving year after year, enabling our students to take up places at some of the most prestigious universities worldwide. Please see "University Placements". In order to gain access to Spanish universities, students are required to take a specific Spanish examination (Selectividad). In the case of British schools in Spain, students may gain direct access to Spanish universities via GCE “A” level examinations. A mark equivalent to that of “Selectividad” is calculated based on GCE “A” level results. External examinations are taken by students in Years 9 to 13. At the end of Year 9, Cambridge International Checkpoint examinations in English, Maths and Science. At the end of Year 10, GCSE English language and Maths at core level. At the end of Year 12, GCE “AS” modules in selected subjects. At the end of Year 13, GCE “A” levels in selected subjects.